As we head into the coldest months of the year, your skin care regimen should focus squarely on keeping surface and underlying skin cells hydrated and nourished. To counteract the dryness and irritation caused by harsh weather and low humidity, I recommend using super-rich moisturizers and emollients whose structure and function mimic those of human skin. 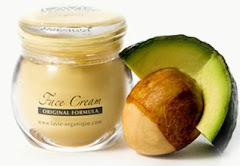 One of the best of best organic oils for protecting and healing the skin in extreme weather is shea butter. Derived from the seed of the West African shea tree (Butyrospermum parkii), this nutrient-packed fat has been valued throughout this region for centuries as a food-oil, cosmetic, and medicine. Because its natural lubricants closely resemble the sebum produced by the body’s oil glands, shea butter is a safer, more effective alternative to parabens and other petroleum derivatives. The potent mix of essential fatty acids, antioxidants, and healing agents in this plant-derived emollient not only softens surface roughness but also penetrates the skin, boosting circulation in the underlying capillaries and stimulating collagen renewal. In addition to repairing free radical damage, the antioxidant vitamins A and E shea butter act as natural anti-inflammatories and anti-bacterials, soothing itchiness and irritation. When you add the presence of a natural sunscreen, cinnamic acid, to shea butter’s benefits, it’s easy to see why an increasing number of today’s finest anti-aging creams feature this remarkable natural ingredient. The Fair Trade raw shea butter in my LaVie Organique™ Day Cream, Face Cream, and Eye Cream is 100 percent free of synthetic chemicals and preservatives and produced with environmentally sustainable methods—so it’s as kind to the Earth as it is to your skin. Lavie Organique is also a proud supporter of Fair Trade Boston. We donated some of our inventory to help support the initiative of making Boston a Fair Trade City. The video below explains what Fair Trade is from local supporters.